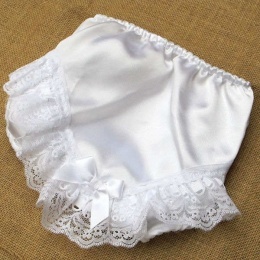 Available in 0-6 & 6-12 Months. 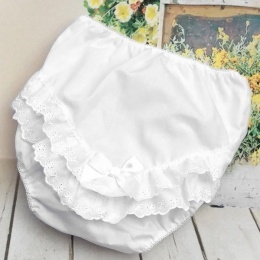 Available in 0-6, 6-12, 12-18 & 18-24 Months. 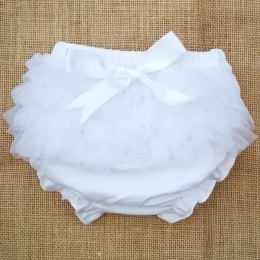 Available in 0-6, 6-12 & 12-18 Months. 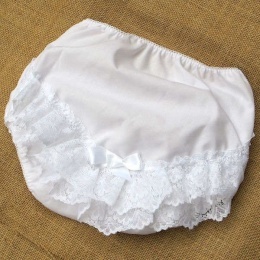 We offer a lovely selection of special occasion frilly knickers, pants, nappy covers, suitable for a christening, wedding or special occasion. 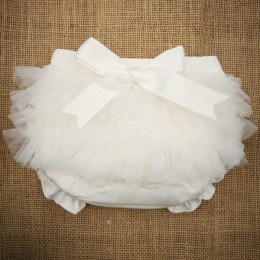 All of the frillies are available in ivory, pink or white in satin, cotton or dupion material. 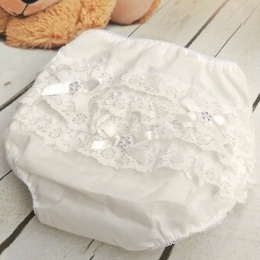 The perfect accessory to cover baby's nappy and protect her special occasion dress.